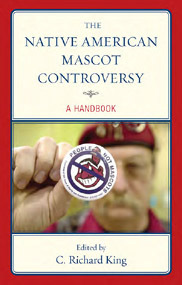 opinion in a variety of published books. by Roberto Sirvent and Danny Haiphong. 2019. NY: Skyhorse. 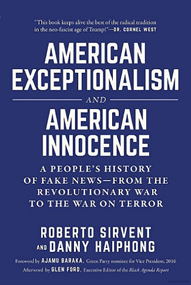 Dr. Stokes was quoted (p. 12) in Roberto Sirvent and Danny Haiphong's book, American Exceptionalism and American Innocence: A People's History of Fake News--From the Revolutionary War to the War on Terror. by Tiffanie Drayton. 2019. NY: Rosen. 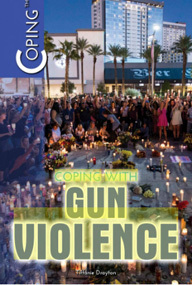 Dr. Stokes was quoted (p. 77) in Tiffanie Drayton's book, Coping with Gun Violence. edited by Paula vW. Dail and Betty L. Wells. 2018. NC: McFarland. Dr. Stokes was quoted (p. 62) in Paula vW. 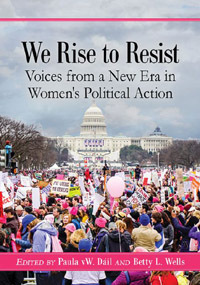 Dail and Betty L. Wells' book, We Rise to Resist: Voices from a New Era in Women's Political Action. Edited by C. Richard King. 2015. Lanham, MD: Rowman & Littlefield. Dr. Stokes' article, "5 Studies That Prove Dan Snyder is Wrong About 'Redskins'," originally published in Indian Country Today, was quoted extensively in C. Richard King's introduction (p. xii) to The Native American Mascot Controversy: A Handbook. by Chuck Collins. 2016. VT: Chelsea Green Publishing. Dr. Stokes was quoted (p. 49) in Chuck Collins' book, Born on Third Base: A One Percenter Makes the Case for Tackling Inequality, Bringing Wealth Home, and Committing to the Common Good. by C. Richard King. 2016. Lincoln, NE: University of Nebraska Press. Dr. Stokes' article, "5 Studies That Prove Dan Snyder is Wrong About 'Redskins'," originally published in Indian Country Today, was quoted (p. 72) in C. Richard King's book, Redskins: Insult and Brand. Edited by P. M. Lowentrout. 2001-2008. Long Beach, CA: California State University, Long Beach. 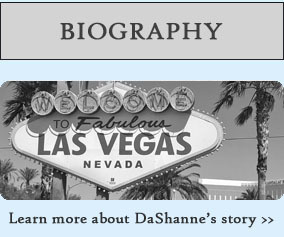 DaShanne Stokes' article, "Sage, Sweetgrass and the First Amendment," originally published in The Chronicle of Higher Education, was reprinted as a chapter featured in multiple volumes (2001: Pp. 61; 2002: Pp. 33; 2003: Pp. 28; 2004: Pp. 20; 2005: Pp. 40; 2006: Pp. 29; 2007: Pp. 72-73; 2008: Pp. 71-72) of The University in Your Future, a textbook published by California State University, Long Beach. Edited by M. Moore. 2006. New York, NY: Thunders Mouth Press. DaShanne Stokes' article, "Sage, Sweetgrass and the First Amendment," originally published in The Chronicle of Higher Education, was mentioned on page 76 of Laura Donaldson's book chapter, "Speaking Out: Religious Rights and Imprisoned American Indian Women." This chapter appears in MariJo Moore's book, Eating Fire, Tasting Blood: An Anthology of the American Indian Holocast. "Change is possible through dialogue and unity. We must be ever vigilant to uncover the historical roots of the conflicts that divide us, ever vigilant to speak the truth to power. And it is to history that we must look to find our way forward, to find solutions to problems old and new."